There are very few herbs that can tout the beneficial aspects which have been attributed to Turmeric; a staple in Indian cuisine and curry dishes. 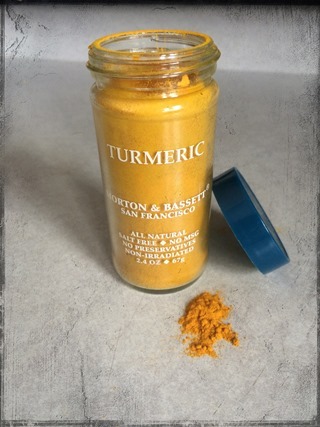 When consumed by an otherwise healthy adult or child, turmeric—or more directly curcumin, a substance found in turmeric—can alleviate a whole host of ailments from indigestion, to reducing inflammation, and it’s even being studied for making headway with cancer cells. Though, in most American and Canadian diets, turmeric may not be a standard staple, more people are starting to pay attention to all of its benefits. This means, more and more people are adding it to their favorite dishes, creating teas, or even taking it in medicinal supplementation forms. However, as with all herbs, they can have interactions with other herbs, supplements, and medications and not all of them are good. Because of this, there are cases when turmeric should not be consumed in any form. This is not to say that turmeric shouldn’t be considered, but simply that you should discuss your options with your doctor. In some cases, turmeric might even be a good substitute option for some of the medications you’re currently taking. Turmeric has been known to act like a blood thinner, much in the way aspirin does. For this reason, a medicinal dosage (supplements, tinctures; not naturally occurring in food) should be avoided. In the first trimester, too much medicinal turmeric could stimulate the uterus increase the risk of miscarriage and even be tied to certain blood related birth defects for the baby. It’s important to note that eating curry, or having turmeric in small doses in your favorite dish is considered harmless to the pregnancy – but still beneficial for mom. Due to the blood thinning effect, all turmeric supplements should be ceased a minimum of 2 weeks prior to any surgeries you may be required to have. Otherwise, you run the risk of clotting problems or bleeding excessively. Be sure to tell your doctor or surgeon if you’ve been taking turmeric supplements so they can plan accordingly and give you advice on how to proceed. In some cases, it may be wise to reschedule surgery if you haven’t stopped taking turmeric within the recommended timeframe. Turmeric has the possibility of strengthening the effects of blood thinning drugs. This of course raises the risk of excessive bleeding if you were to get hurt. People who take medications including warfarin (Coumadin), clopidogrel (Plavix), and aspirin should be particularly careful. Talk to your doctor to find out what they suggest in terms of turmeric usage. A change in medication may be in order if you want to continue consuming turmeric. Depending on the severity behind the reason for your prescription, taking turmeric in place of your medication could be an option. As always, discuss these questions with your doctor to find out what’s right for you and your health. Curcumin reduces leptin resistance, lowers insulin resistance, reverses hyperglycemia, reduces inflammation, and activates fat burning gene signals. All of which are beneficial and amazing. However, diabetics should be particularly careful when it comes to ingesting turmeric while on medications to control their diabetes. Taking turmeric can increase the risk of hypoglycemia (low blood sugar) because it can strengthen the effects of the medications they’ve been prescribed. Talk to your doctor to find out if turmeric could interact with the medications you’re on. For the majority of healthy Americans and Canadians who are interested in supplementing with turmeric, you’ll find this is a highly effective and beneficial herb that most of us aren’t getting enough of in our every day diets. It’s versatile in its distribution; being consumable in raw, tincture, powder, and capsule form. Due to its interactions with other herbs and medications, it’s wise to consult your doctor before starting a medicinal regimen, as we discussed. However, if adding it to your foods for flavor, color, or to get some of the natural benefits, by all means, enjoy. It’s particularly good in teas, smoothies, and even adds a bit of flair to your hollandaise sauce.